These days, as the genuine industry get developed, trying to find the best way to sell useful but also qualified products, made it easy to adjust the “cheap, good and convenient” adjectives for industrial or even nutritional products together. One good example is the instant food products. In our days, there are many instant foods in everywhere. Ready-to-eat food is really easy to prepare: just pour hot water, put it in the microwave, and it is ready to be served on the table. Generally, the tastes of those kinds of foods isn’t better than home-cooked foods, but, it is helpful for busy persons. It seems that the Japanese technology to produce ready-to-eat food is highly developed and I the taste of some products is really good. Here, I will introduce you to amazing ready-to-eat food that you can find in Japan. In a busy day, you haven’t to worry about your dinner, just pass to the nearest convenience store and you can enjoy a hot dinner! I have heard that Japanese curry is really popular all over the world. I think almost all of Japanese like curry with rice. There are many brands that make this kind of products. You just need to put this product into hot water and the curry would be ready to eat! Recently, Ramen is a pretty popular food in many countries. Actually, in United States, I have seen many instant Ramen. Japnese instant ramen is generally called Cup-Ramen, it has pretty high quality and plenty of flavors. You just have to pour hot water into the cup and wait three minutes! And the Ramen is ready to eat! 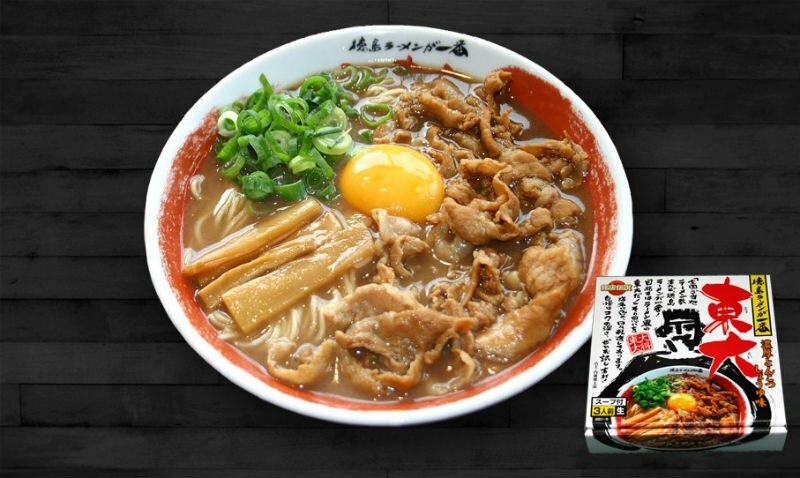 Also, not just Ramen, there are many kind of Cup-noodle, such as Soba, Udon, and Yakisoba. In Japan, we usually eat rice. However, it takes long time to cook rice even if we use a rice cooker. But, there is an amazing instant product! 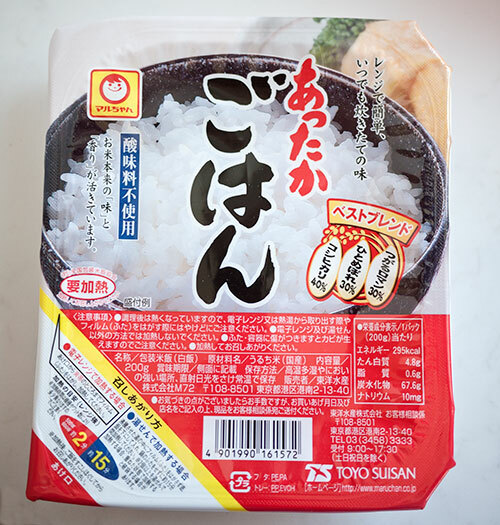 This product is ready-to-eat rice. You just need to put this product in the microwave for three minutes. And the rice is ready to eat!